The GSC 5040 includes a Beehive valve spring set, and Grade 5 Titanium retainers You will use the OEM spring seat. This kit is capable of 11000+ RPMS, with as much as 12.1mm lift cams (net valve lift max due to seal to bottom retainer contact). These are a must have for anyone pushing the limits. 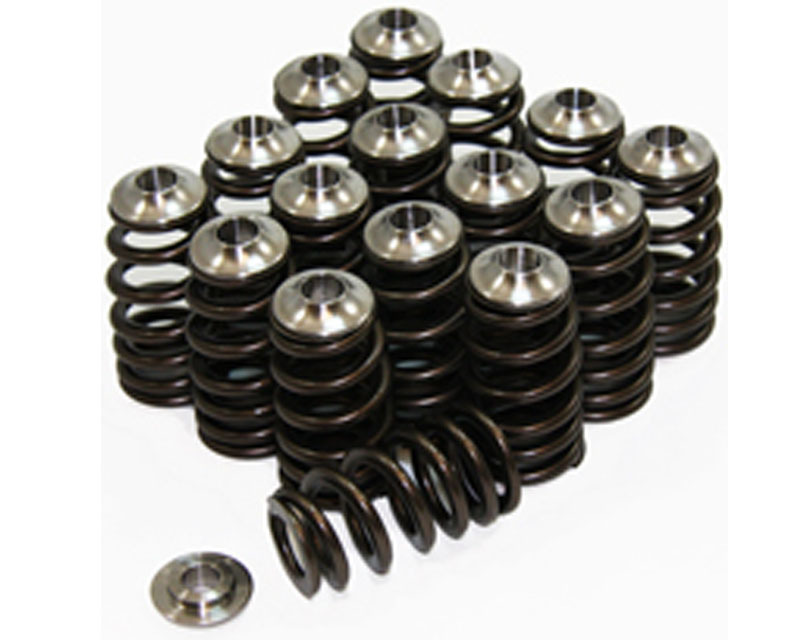 If you have had problems with valve float or throwing rocker arms this is the spring set that will cure your problems for good.